Regular readers of Live Like a VIP will know that we LOVE Champagne. The sound of the cork popping adds a new buzz to a social occasion, the fizzes on the tongue that are like little stars and the light taste which lifts your mood and energy levels rather than making you want to sit down and sleep. We’re also very fussy about Champagne. If it’s not from the Champagne region then don’t try to pretend to us that it’s of the same standard. 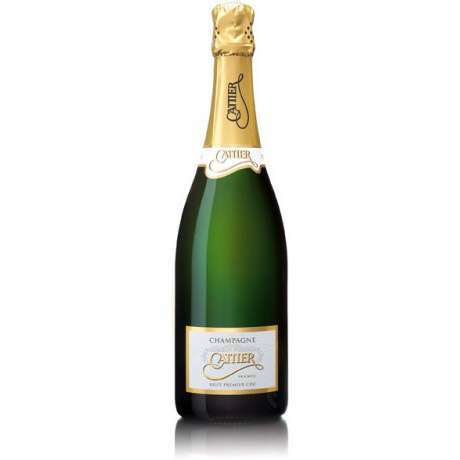 We’re purists and that’s why we like Cattier, a French Champagne house founded in 1763. If you win today’s competition you will get to try it too. The Prize: First Prize A bottle of Cattier Champagne AND an invitation to a spectacular Champagne and cheese tasting at the St James Court Hotel, near Buckingham Palace on 16 October. Email your answer to competitions@livelikeavip.com by 2359 on Friday 10 October. The winner must be free to attend the Cattier Champagne and British Cheese Board cheese tasting on 16 October at 11am. Winners will be notified on Monday 13 October.